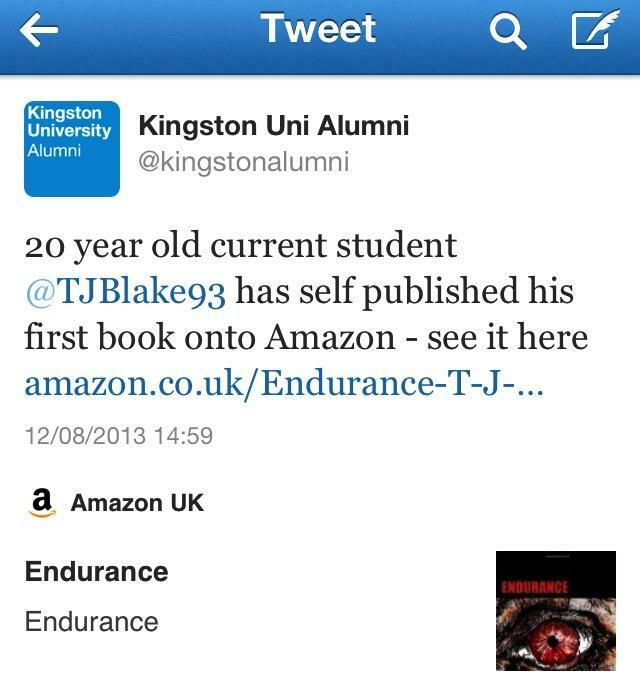 Today my university Tweeted about me and Endurance. I’m mystified how they found out about it, I hadn’t contacted them about it but its great! 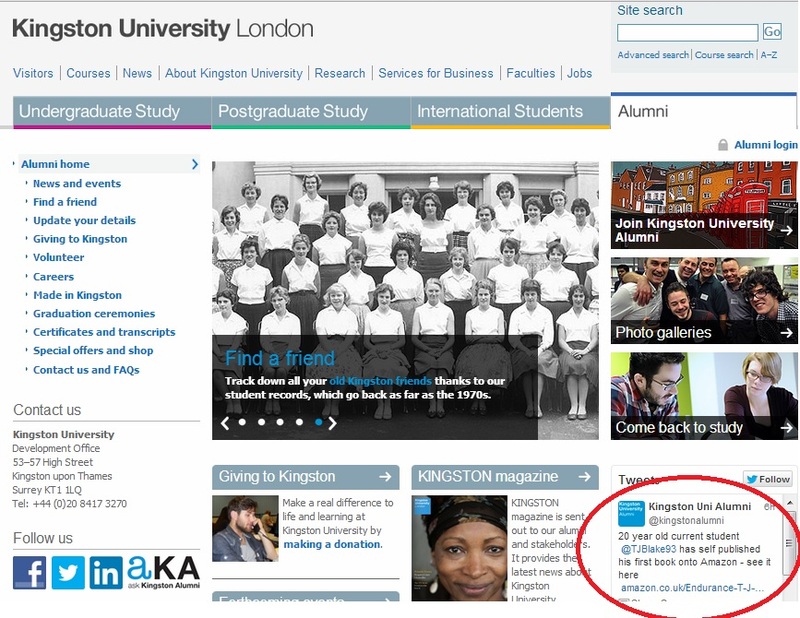 Thank you to Kingston University for mentioning me and Endurance. The tweet about me and Endurance on the Kingston website.